Laura prides herself on her empathy and ability to first understand a client’s needs and aspirations and then combines these with straightforward, clear and balanced advice – and has been doing so for almost two decades. Laura’s career began in 1998 working with a Top 5 accountancy firm within their Insolvency and Administration Team and was subsequently sponsored through university. Following a languages degree studying and working in Sweden and Germany, Laura worked within banking for almost a decade, acquiring her Chartered Banking qualifications whilst working with commercial businesses in a relationship management and new business development capacity. During this time, Laura began developing her own property portfolio and then latterly her husband’s. She has been managing these since 2002 and has seen the level of compliance and documentation increase 20 fold over the period! It was then in 2010, that she realised her passion for property was stronger than her desire to stay in commercial banking and so she started up Chapmans, a Property Letting & Management Agency. 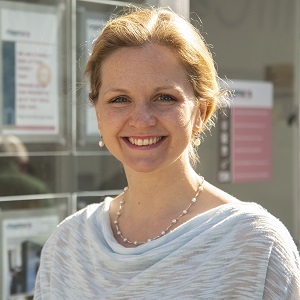 Building the business from the ground up, Laura is truly dedicated to each and every client and property Chapmans look after – and being a landlord herself – fully understands and acknowledges everything that comes with it. In addition her keen social conscience and determination to make a difference sees her sitting on the steering group for the Council of Letting Agents, working hard to ensure Chapmans punches above its weight in terms of influencing policy and driving up standards. She also is a founding member of the Edinburgh Care Forum and runs regular Learning Seminars for professional firms to help them keep up-to-date with the ever-changing legislation in the world of lettings. Her cheery disposition and approachability are continuously commented on by her clients and Laura is extremely proud of the fact that since she set up Chapmans, she has never had a client leave because they were unhappy with the service provided. My Favourite Film – no idea! Shawshank Redemption is an old classic – and I will always love Dirty Dancing! My Favourite Food – anything that I haven’t cooked! My Favourite things to do in my spare time – spending time with my family – husband Tim, son Harry and dog Wiggy! And running…I recently ran my first 2 half marathons! Oh, and watching the property portals!